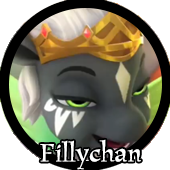 How much are you paying to host fillychan, and is it worth it to keep doing so for the 4 people who post here once every couple of weeks? Generally, my expenses for all the Filly related stuff I do (basically running three Filly websites as well as the very occasional purchase of some Filly stuff) probably averages about 30$ a month. It's not really a super expensive hobby, all things considered. I bet there's lots and lots of bronies who spend more on pony merch than I do on running websites.